I’ve had lots of fun blogging individual posts of each entry this month, and the response from you all has been amazing…thank you! I just hope you will forgive me posting the last two cracking awesome entries together as it’s CLOSING DAY ALREADY!!! I told you it was a special cupcake! Hello and welcome back to Kayeigh from Kake’s Crafts – am loving this scrumptious cupcake beanie, complete with the cherry on top. 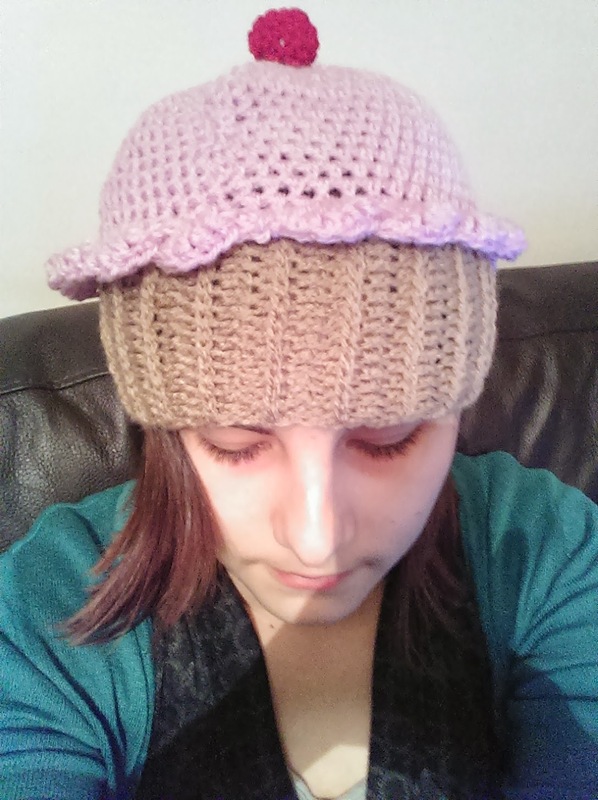 Now this is no ordinary deliciously gorgeous cupcake hat, Kayleigh has made this for her Mom’s friend who is undergoing chemo (her Mom too 😦 ) and who has vowed to wear a new beanie every day and they sell it and donate the money to charity – is !!!!!!!!!!!!!!! I think that is utterly amazing. Totally blown away once again by the sheer beauty of this Moroccan inspired blanket made especially for Grandpa Pigtails for his 70th Birthday!! Please pop over and read the posts about the making of this blanket – the details, the method and the pic will dazzle you! VOTING WILL START TONIGHT SO IF THERE ARE ANY LAST MINUTE ENTRIES, THIS IS YOUR SIGN!!!! Newsboy “Blinged Up” hat made by the wonderfully talented Jill of Nice Piece Of Work! The FEB Made It challenge – New entries! 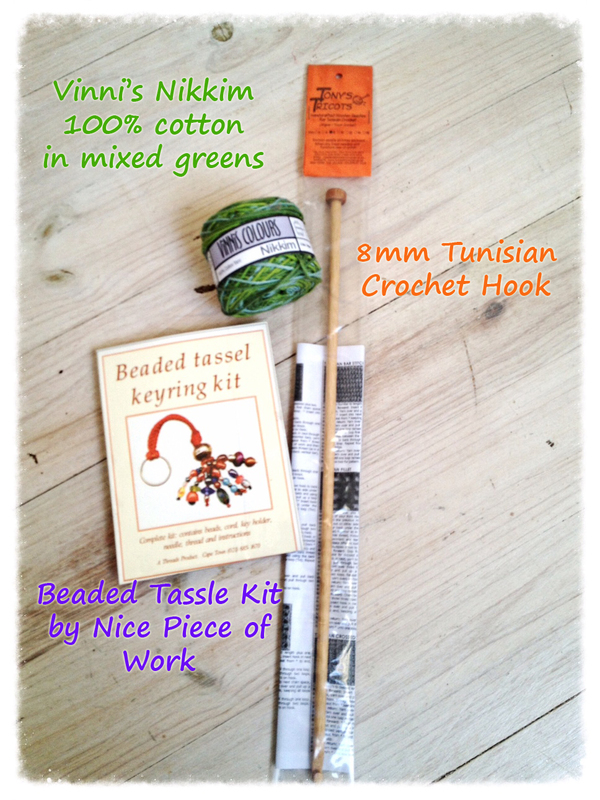 Thank you all for the lovely response to Trevlyn’s prize that will soon be in the hand of this month’s winner. I assure you, her crocheted shawl is even better in real life. Now that we’ve all recovered, let’s get on with the next MARVELOUS bunch of Made It entries! 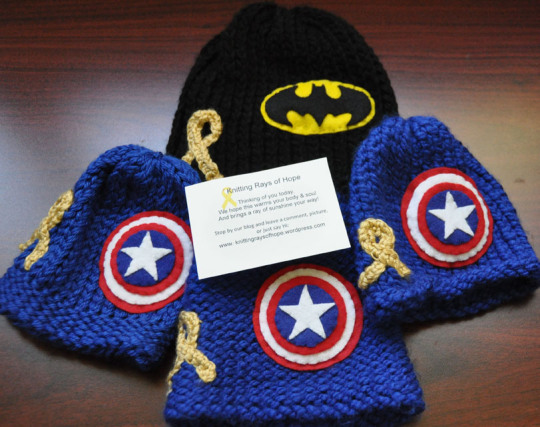 I love “firsts” – this time it’s the sweet Kayleigh of Kake’s Crafts who’s taking the title with these gorgeous socks! (Am I the only person left who’s never made a pair of socks!!?). The colour is lovely and they look as warm as snuggly as knitted socks should – these surely are the things that make winter worth it!. Yipee, we have a newbie to the Made It! 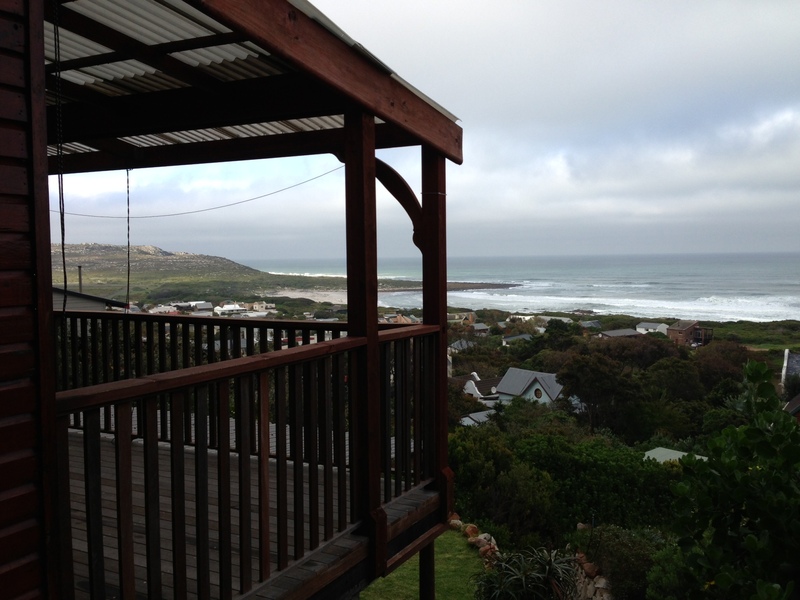 A huge welcome to Madeleine from Pretty Blue Bird Studio, a fellow Cape Townian with a way with a hook! 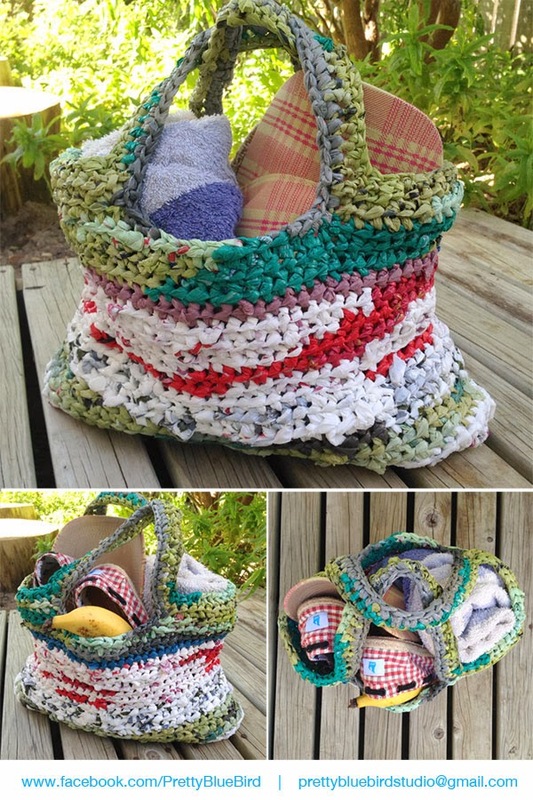 This fab bag is an upcycled project, crocheted from old plastic bags – and the colours are stunning. Please pop over and say hi! How absolutely clever to combine Pom Poms with a cushion – genius! 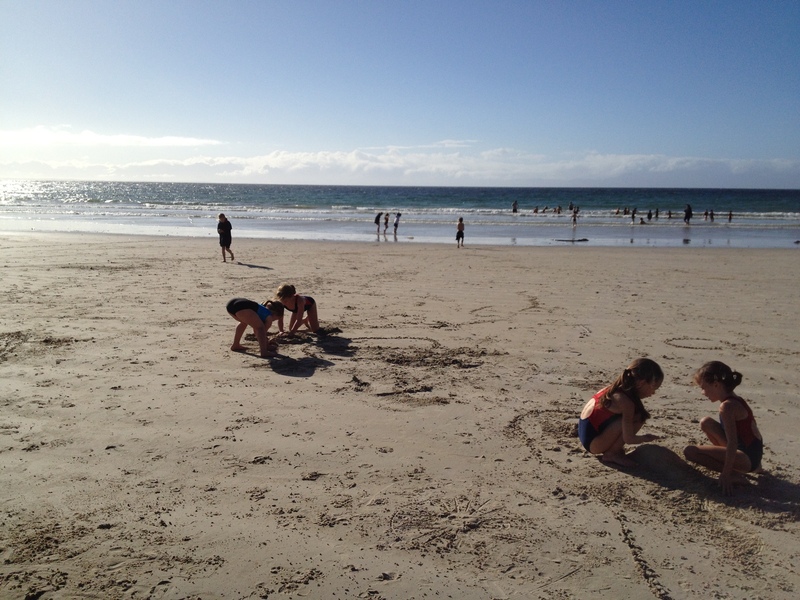 The overall effect is fun and of course, it’s a great way to get the kiddies involved too! Ooooh my, another cushion that completely pulls at my heart-strings! The combination of colours, circles and materials is perfect. WANT! This is a very cool stool!!! This is the latest fine make by our funky yarn chick, Lisa from YarnChick40 and the first cover I’ve seen for a square stool that has made provision for the little gap in the middle. Brilliant! Wishing each and every one of you a magical 2014 filled with love, peace & happiness…and of course lots of time for all things crafty! Spreading her wonderful and unique type season cheer this year is the lovely Jill from Nice Piece of Work! This beautifully bright and happy Yarnbomb greeting was placed at the entrance of her apartment complex. Hmmmmm, I wonder if there was even one single resident who had no idea who this bomber was…..?! 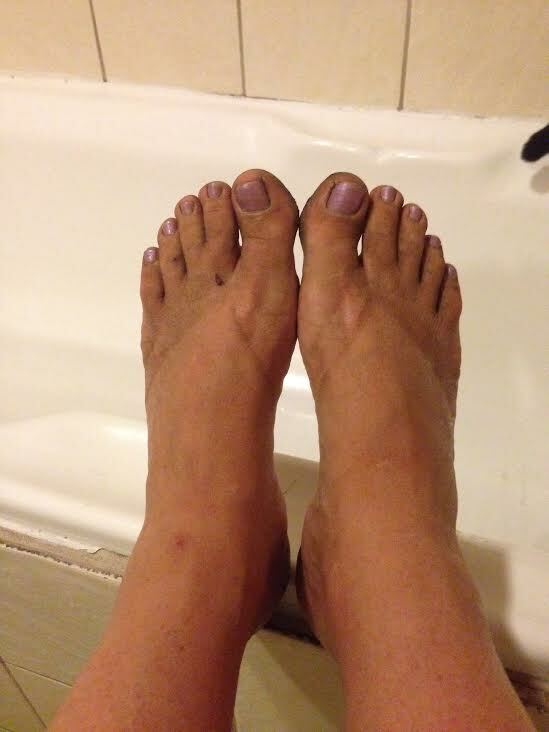 From filthy feet to Melissa of Vu Chickens two pairs of Happy Feet! I’m pretty sure you cannot get cosier slippers than these beautiful thrummed ones belonging to Mae and Jonah ….not only expertly knitted by Mom (with a little help from two very able children I might add), but loving made from home spun wool too. These are sensational and perfect for some extra sliding around the house! Finally, we get to see what Jane from Rainbow Junkie Corner was working on in the run up towards Christmas. These fun and fabulous amigurumi figure crochet key rings, each so well thought up, are beautifully made and incredibly cute. Such a great gift idea, especially for those hard-to-buy for men! WOW, not only has Sandra from Sandra Hernandez Make got a great eye for colour (yellow & grey being a favourite combo of mine, but I’ve never had the guts to wear them together), she must have the patience of an angel. Here is her first sweater, knitted with such an intricate design which is ALL HER OWN! WOW, I’m very much looking forward to seeing more…. Ripples! Who doesn’t love this pattern. The lovely Kayleigh of Kake’s Crafts‘s gorgeous ripply cushion cover came out beautifully! Again, the colour combo is stunning & very effective and the little heart buttons finish it off so well – a perfect gift even if it took a while to make. Ahhhhh, I love old-fashioned teddies and this hand-made teddy bear by Kaiserin of Empress 27 looks exactly like it should – even with the eyes not on yet hee hee. This little chap (and his friend, click on the pic for more about him) looked so fun to make…I easily can see how people get addicted! A match made in Christmas Heaven! The incredibly talented Sandy of Live Love Lake has entered her two AMAZING Christmas bunnies Nicholas and Jessica this month. Not only do they look like the happiest couple in town, I have a feeling they will be making their annual Christmas appearance for many many years to come! Thank you all for entering, for reading and happy browsing! I honestly never thought I’d ever have a blog title like that! Slipping in her uber cool & wonderfully whacky entry with just hours to go, is the uber cool & wonderfully whacky CraftManiacMommy! How cool is this beanie!!!! This Pinterest-inspired beanie seems to have gone viral and is certain to get us all in the mood for Christmas dinner. It gets better, there’s a fab pattern too (♥ our whacky Mommy’s first ♥) so no more silly paper crowns this year OK ladies!! Ahhhhh, where are the tissues….. The beautiful Kayleigh from Kakes Crafts got married!!!!! Congratulations to you and Tom – may your marriage be filled with fun, love, adventure & a treasure trove of beautiful memories. 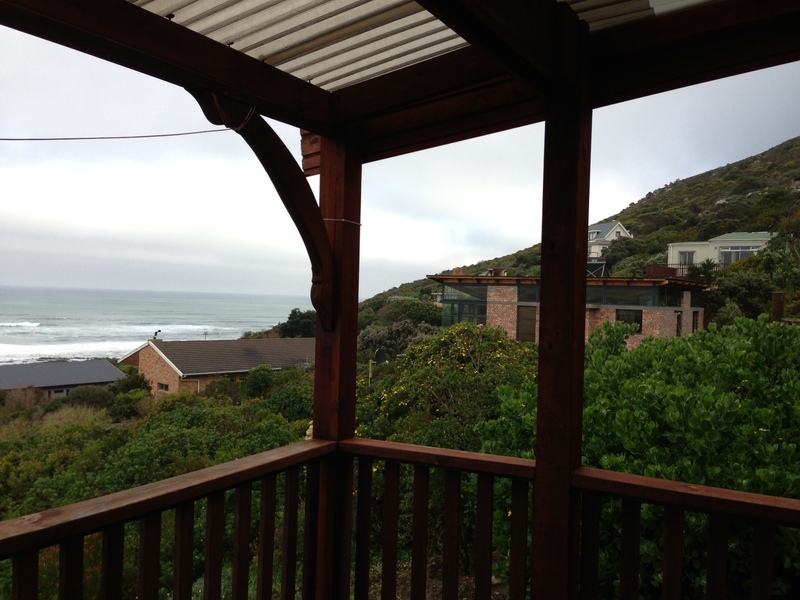 Hope you are all having as wonderful week as I am….did I say that out loud. Yes, it’s been awesome. 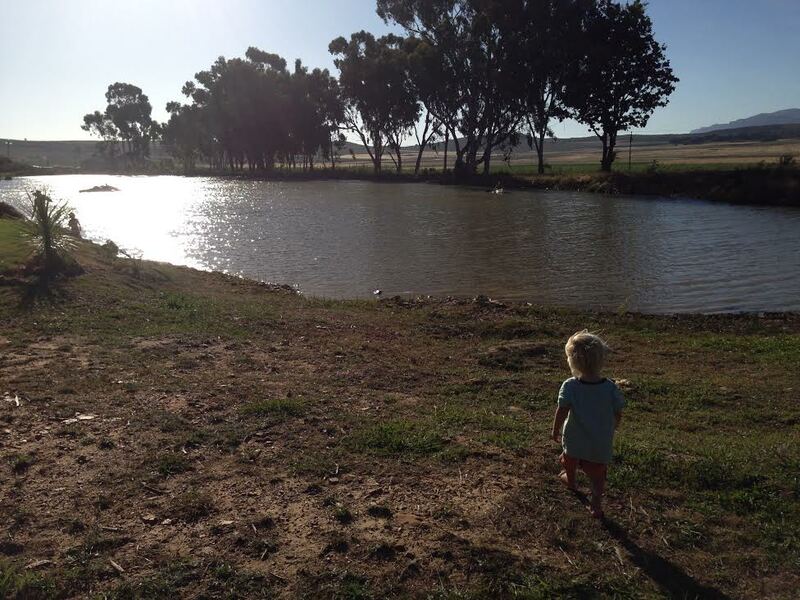 Stress free, productive, busy….and it’s only Wednesday phew! I am really loving all the brilliant entries that are pouring in this month (hence why I am so behind in posting about them). So far we have 43, yip FORTY THREE entries and counting. Wahoooooo, this is going to be a record-breaking month, I’m sure of it! 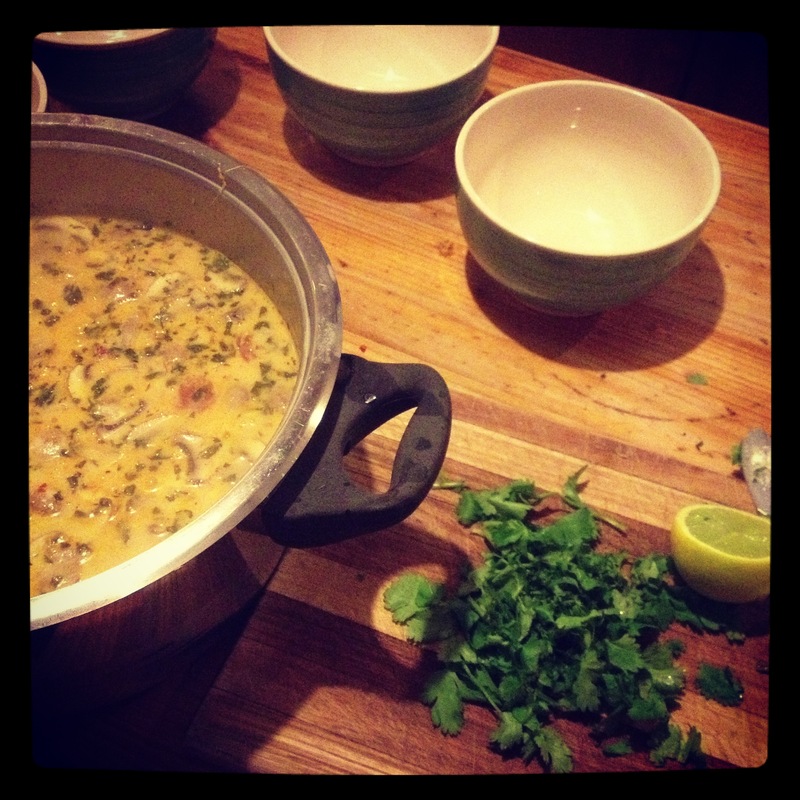 Next in we have the lovely Millie from Millie On Her World who is back (yipee) again with two very delicious entries. For those who’ve been following the Made It, you will know then that Millie and Cupcakes are pretty much synonymous! The swirl on the “cupcap” is particularly scrumptious – and there’s a tutorial too! And all that teeny tiny fruit and veg and BISCUITS…eeek, I have a real thing for miniatures too. WOW, I’ve never really known anyone who has actually made any so I super impressed! Ahhhhh how cute! I adore this little sweater, complete with colourful “pleats” made by Elena from Beatrice Ryan Designs for her little granddaughter – Happy Birthday sweetie pie!. Goodness gracious though, I am have no idea how she (and so many of you crochet-machines) manage to make so many amazing things in such a short time. And speaking of AMAZING, please visit Elena’s Amazing Grace posts where you will find these beautiful headbands and more in support of Breast Cancer Awareness and get involved if you can. I’ve heard plenty things about blocking but I can honestly say that except for one super interesting post by Alice of Knitnrun4sanity, I’ve hardly paid any attention whatsoever. Until now that is. This stunningly beautiful shawl made by Kayleigh of Kake’s Crafts looked fab in her first image but just came to life after it was blocked! The detail is so so beautiful, don’t you think! When I grow up (hahahahahahhahahaha) I want to be just like Lucie from Love, Lucie. I go a little weak at the knees when I see such lovely orderliness & beautifully stitched up packages of crisp, totally wantable fabric in which things (that I would normally cram drawers/boxes/annoying people) fit perfectly into. I then want to cry because I know I could never EVER sew like this, nor be even 1% as organised for that matter. Love love love it Lucie!!! 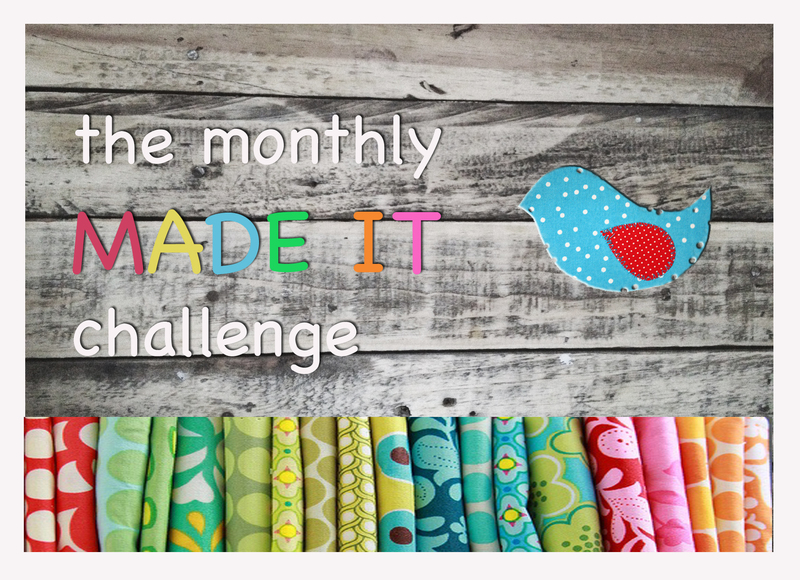 I’m over the moon to introduce a new member to the Made It challenge! 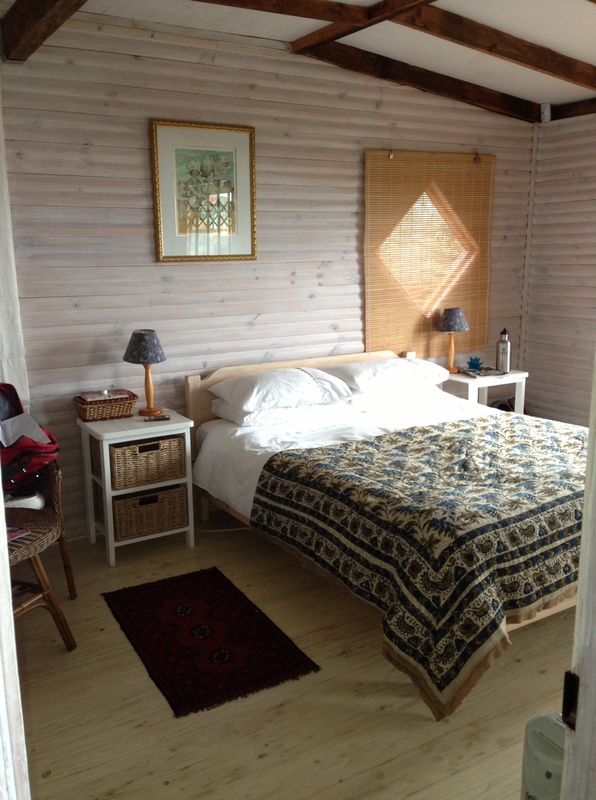 Welcome Susan from Susan’s Musing and thank you for joining in. 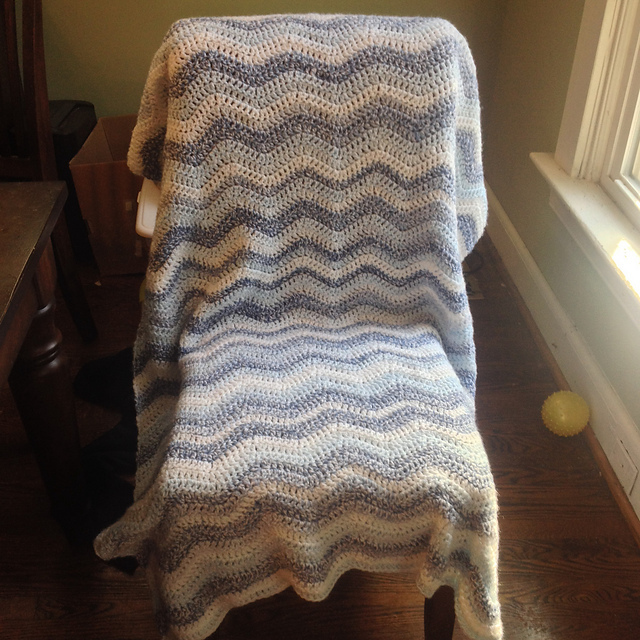 Ok, sit down….Susan finished this amazing (the colours are sensational, aren’t they) Lucy– inspired Blue Waves Blanket in less than FOUR WEEKS, while working of other projects. AND it’s a gift!!! I don’t think I’d be able part with such a master piece myself heehee. Amazing. You can click here too! The September Made It has a new WINNER! Your prize will be whizzing its way to you in no time. 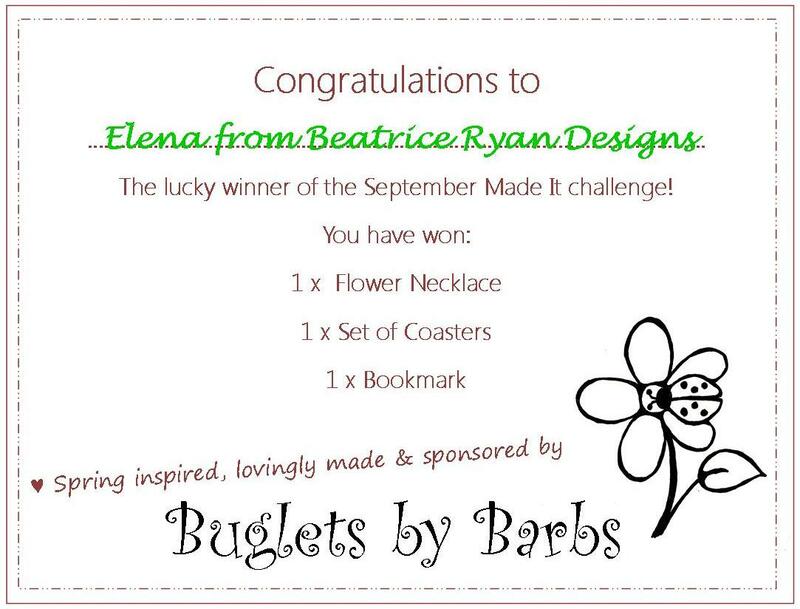 Thanks sooooo much for the lovely Buglets by Barbs for donating this month’s prize. I’ll post of pic of the goodies once they are ready to go!! 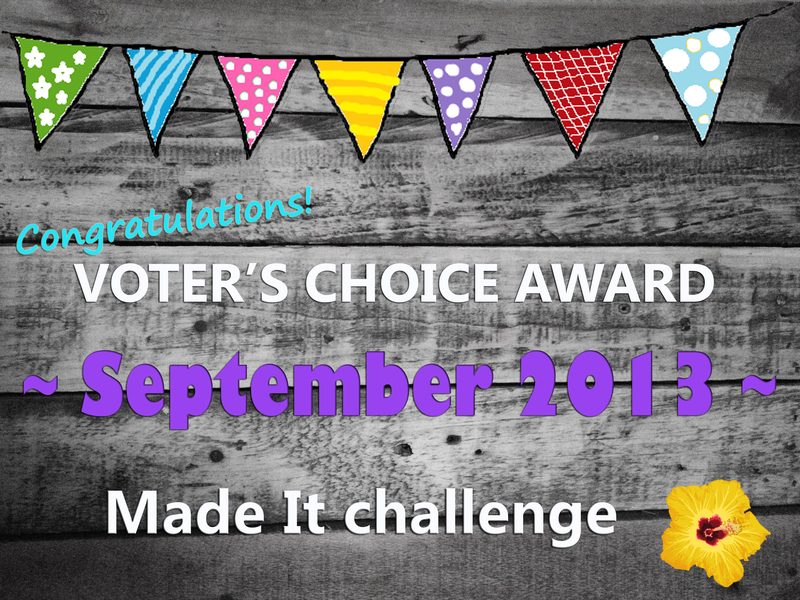 THE VOTER’S CHOICE AWARD GOES TO…. A DEEP HEART FELT thank you to everyone who took part and voted! 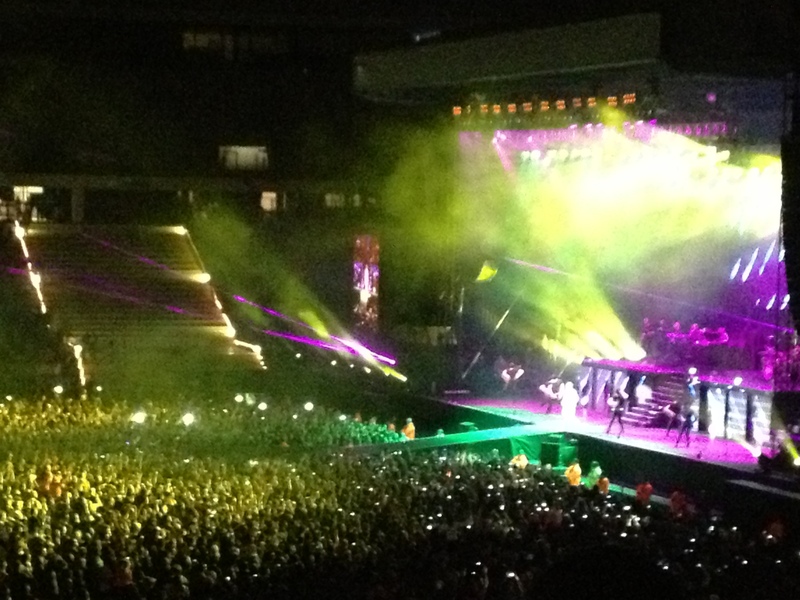 Once again, it was magic and I hope you all enjoyed it as much as I did. See you in a day or so for the next round DING DONG! July Made It – A whole whack of new entries! Somebody pulls the breaks PLEASSSSSSSE! It can’t be 2 DAYS BEFORE VOTING OPENS?????? Can it ? What’s the hurry July? By now we all know and LOVE the funny lady Jill from Nice Piece Of Work…and that she ALWAYS has something new for us to drool over (what I really mean is that we run off at a great speed to our stash – in a flat panic – and try whip up a decent replica of her latest pair of F.A.B.U.L.O.U.S mitts – or,come to think of it, any other project that she’s busy with -’cause she has a way of making it look so IN, so trendy…so MUST HAVE. Am I right?? Ahhhh, you may remember we have already met a certain young red handsome Octopus in the May Challenge which would be the perfect mate for this gorgeous green little lady Octopus (although I am no expert on who the she and who’s the he…). 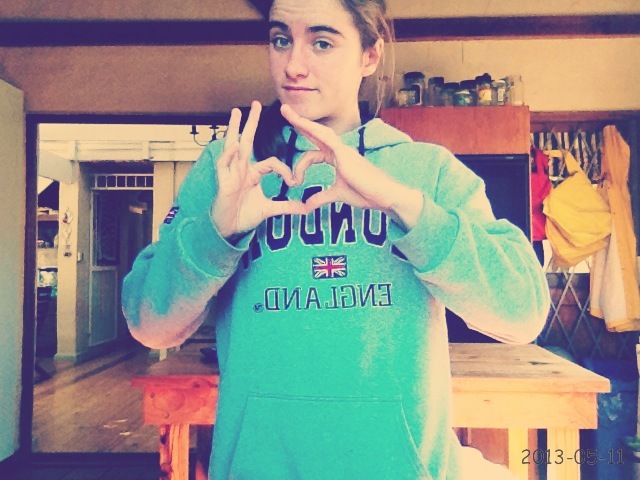 How adorable is SHE! Kayleigh from Kake’s crafts has entered with her cute curly legged creature and the pattern is slightly different this time so pop over and take a squizz. I’m thrilled that MrsMac over at Ravely is back with this bright and beautiful square cushion cover which has made this little corner of her garden look sooooo inviting – the bench is absolutely adorable anyway but now that’s it been splashed with crochet and colour is looks AMAZING! I’m sure we all have that part of our garden that’s just begging for this kind of treatment. 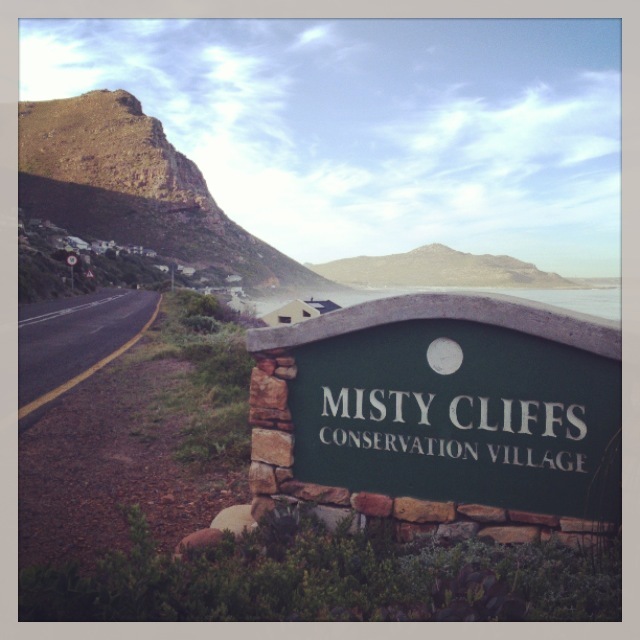 Please visit her at Ravely for the write-up about this and her many more brilliant projects! A huge bear hug welcome to newcomer to the challenge, Anne-Marie from Kookzie with her funky crochet Mason jar candle holders. I absolutely love these – they are so effective, look so chic, easy to make and the best part – they’re upcycled! Have a look at her post for a peek at each jar up close. 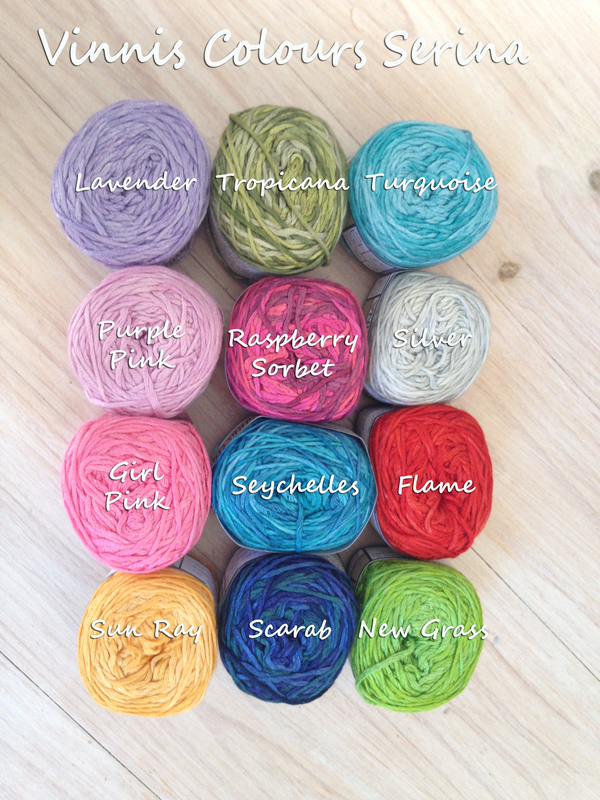 Each one is slightly different and Anne-Marie will be posting the pattern soon, so stay tuned! I almost feel off my chair when I received this entry??? Hey?!! You know what I mean, right?! 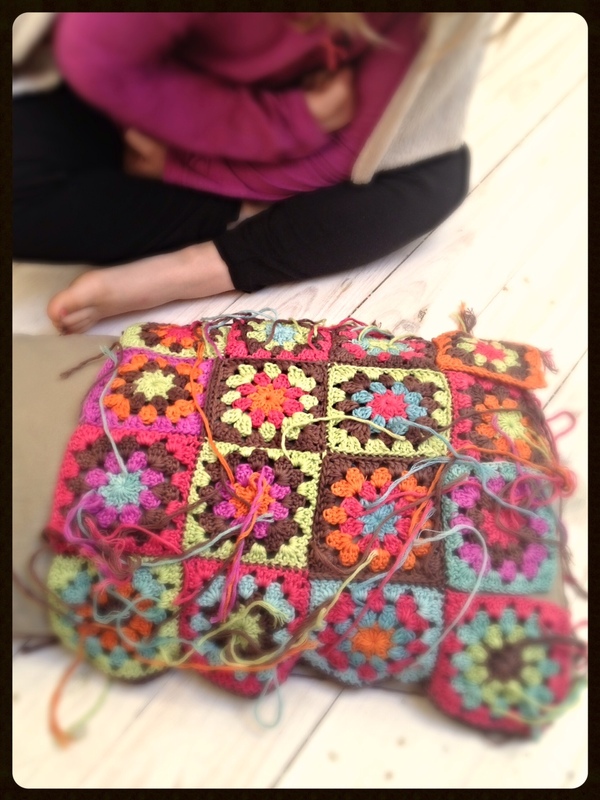 Trevlyn, who is one of my lovely customers crocheted this FANTASTIC granny square blanket. WOW WOW WOW. I know that the bar is set VERY high this month when it comes to blankets (in fact, everything!) and I am gobsmacked at the creativity, vibrance and beauty of this one too- I want one. May Made It Challenge – aMAYzing New Entries, Some Musings & A Question To Pose! Hello hello to you all, where ever in the world you are today! 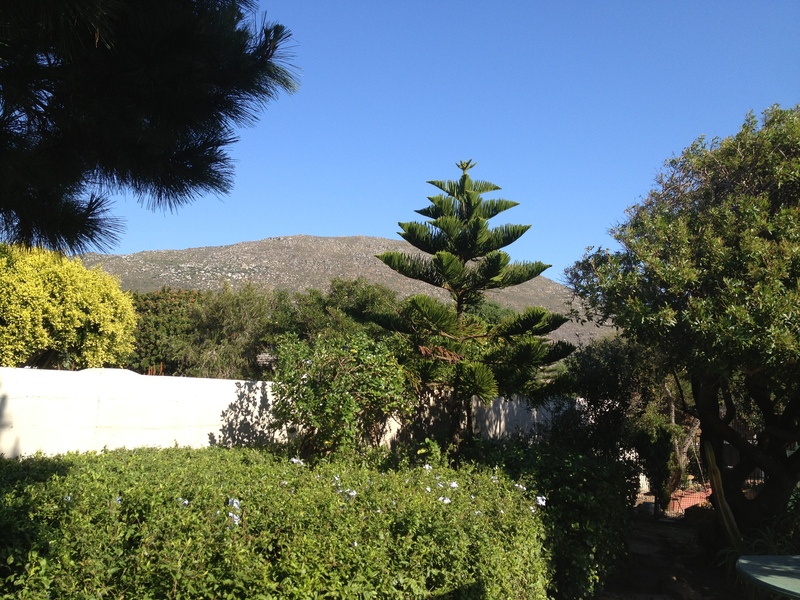 It’s Sunday and a damn fine day here in Cape Town – here is a pic taken out of my window right now! Taken on my way to “work” as the newly appointed Social Media nerd for my old real estate company – yeah I know….tough job! 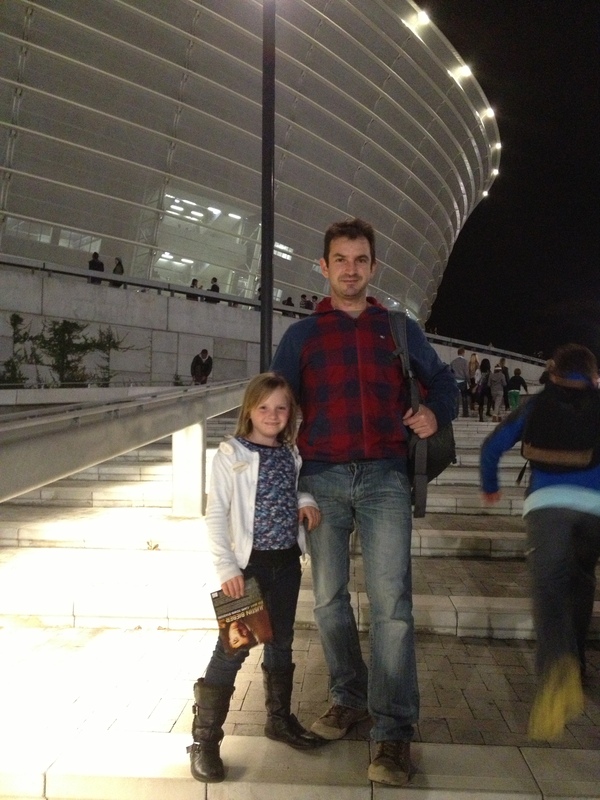 Excited daughter and clearly-over-the-moon Dad about to see Justin Beiber! 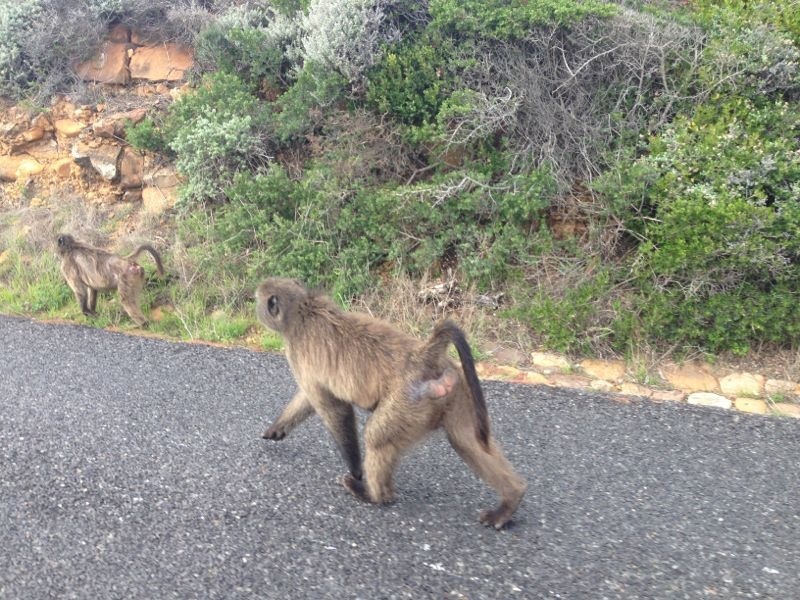 Yip, this is about as much as we got to see too!!! 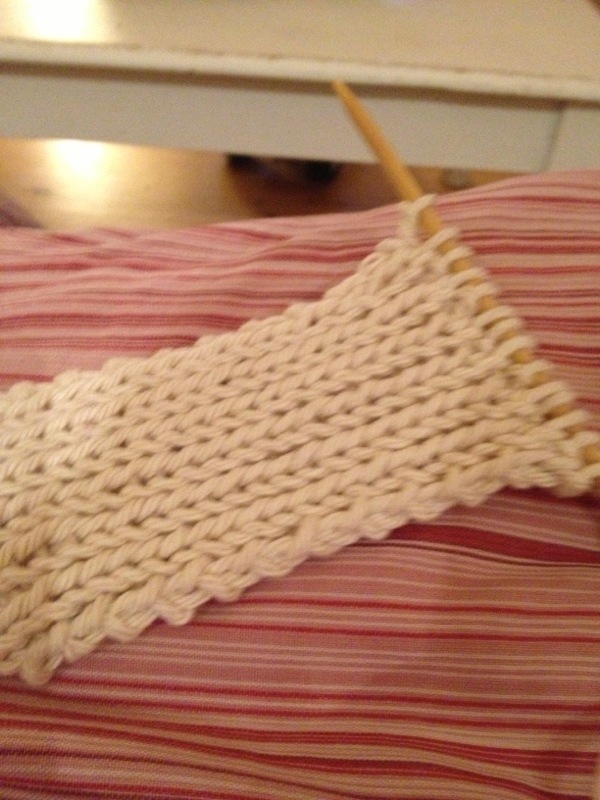 An attempt at knitting with some chunky cotton…. 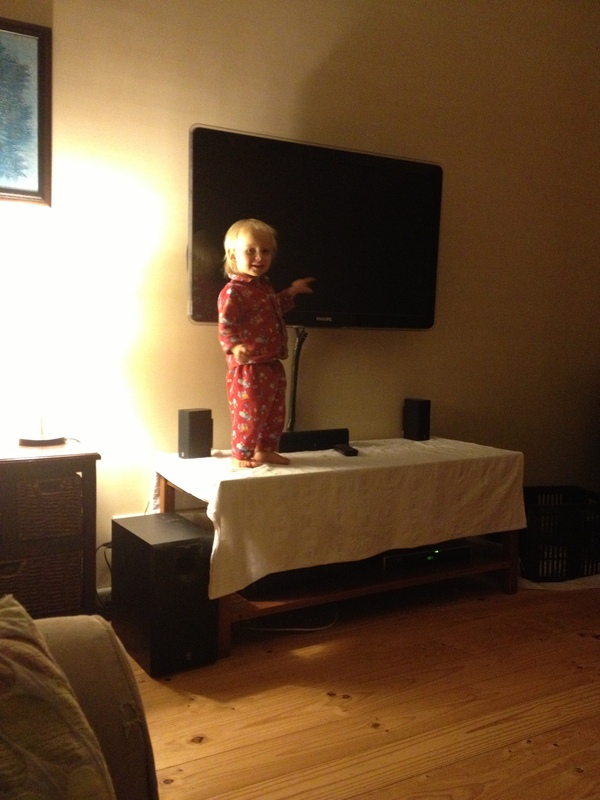 Who needs a remote control?? 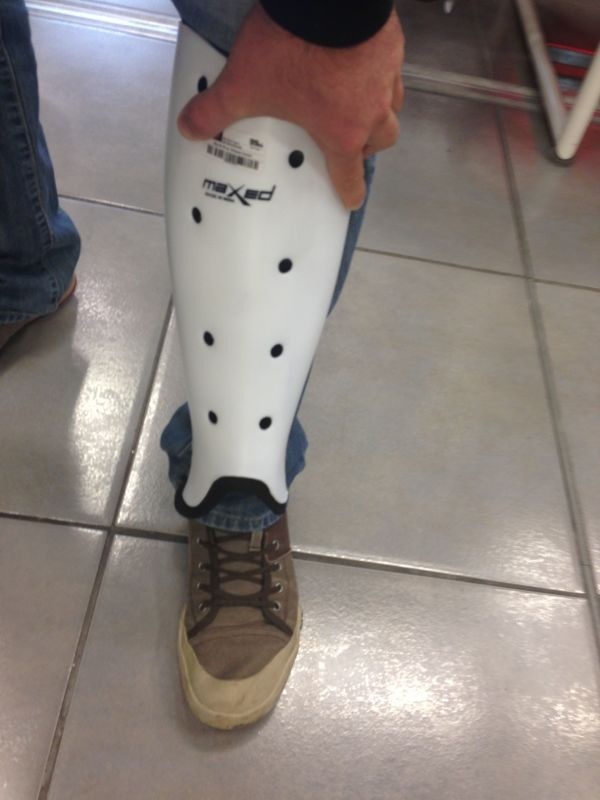 No, not auditions for Halloween 13…just Dad asking what shin guards to buy for hockey playing teen! 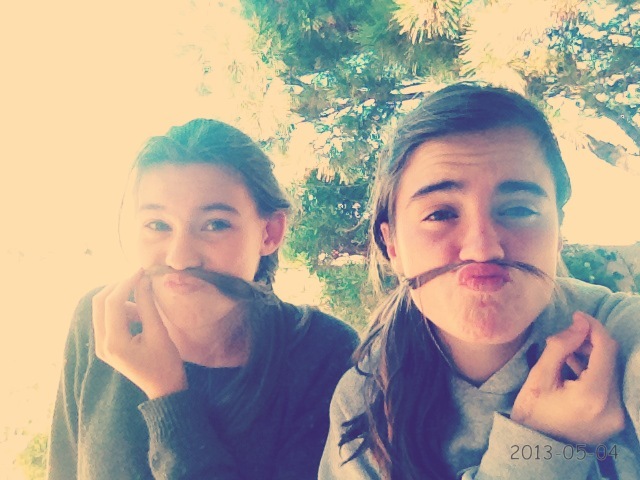 Apparently – according to other parents-of-teens – finding tons of pics like this on your phone is perfectly normal. 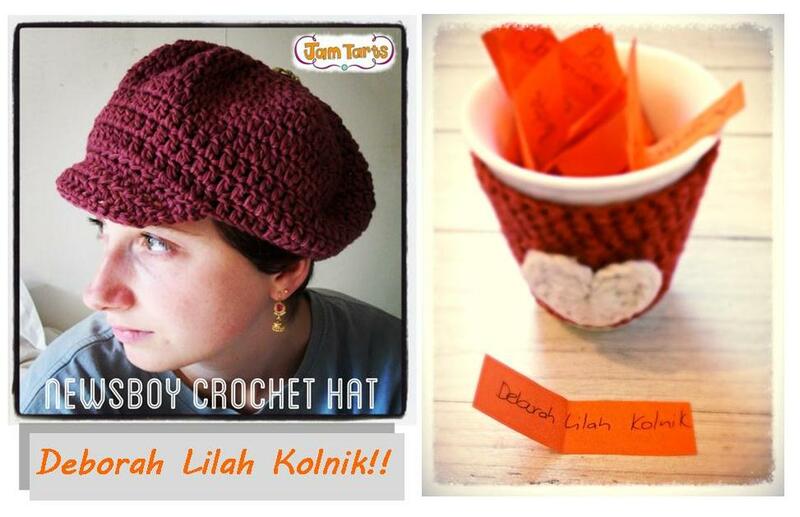 ended the week with the winner of Jam Tarts newsboy crochet hat!!! MOVING ON TO THE NEW MAY MADE IT CHALLENGE ENTRIES! Hello and welcome to MrsMac who has submitted this stunning, sparkly shawl in cotton viscose that she made for her mom! (I know my mom-in-law is going to squeal in delight at this one). Click here to go to her Ravely page where you will find the pattern, another pic of the front (it’s fabulous) and another beautiful shawl too! Welcome back to Elena from Beatrice Ryan Designs. 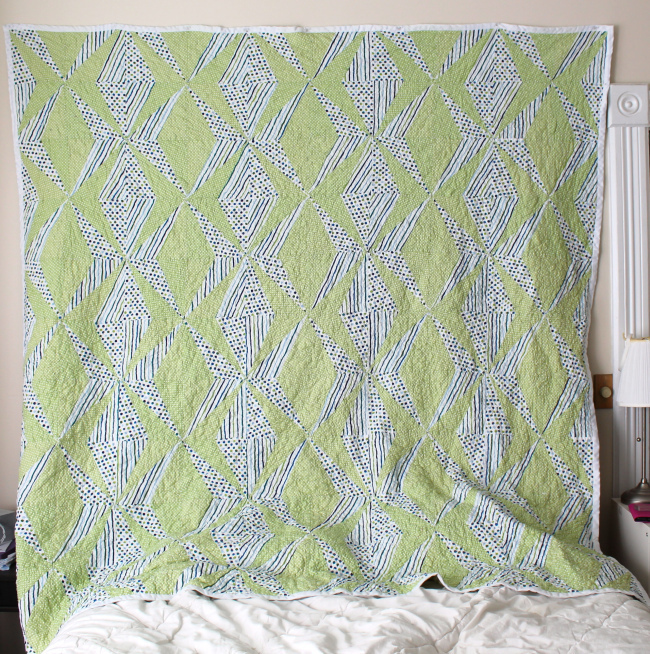 How beautiful is this Ocean Waves Afghan in the most sensational creams and greens?? A present for her daughter’s 17th birthday!!! This is a heirloom to be forever loved and cherished. 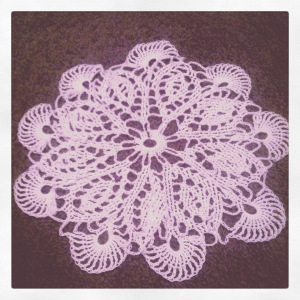 We have two exquisite and ever-so-delicate entries from the lovely Crochet by Gray! 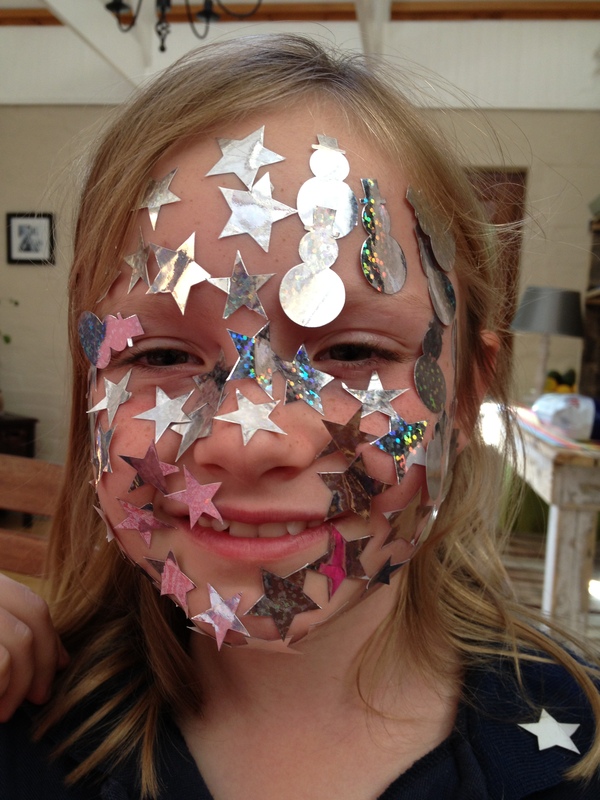 Firstly, I do not know where she gets her super powers from but frankly, I’m more than a little envious!! Read more about this gorgeous doily and diamond shawls she loving managed to whip up in the midst of her wonderfully busy life!!! Again, Moms beware because your little girls are going to be begging you for one of these beautiful Daisy Chains! The lovely Teresa from Little Poppits has not only delighted us with this necklace and daydreams of warm meadows but also posted a lovely pic of herself too! I’m soooo thrilled to welcome another newbie to the challenge! Hello to Aviena of AvienaDawn who was inspired by this month’s official (unofficial?) theme of STASH BUSTING! 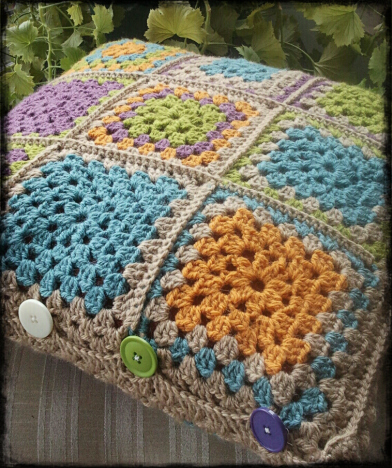 And thank goodness for that because what a fabulous Granny Square Pillow!! I LOVE the colours and can’t believe how beautifully go together! Last night, I was chatting to one of my friends who suggested that maybe the winner of the challenge should be picked based on votes as so much time and energy goes into each creation and it might be great to be the month’s favourite. Hmmmm, well this got me thinking. Firstly, when I first started the challenge, I decided to do a random pick each month to keep things lighthearted and fun BUT now I’m wondering if maybe you’d prefer to win on merit rather than by chance??? WOULD YOU PREFER THE WINNER TO BE DETERMINED BY THE MOST VOTES OR RANDOMLY?